So the major Christmas extravaganza was the whirlwind I described and now all that is left is the closure to the celebration of Hanukkah. 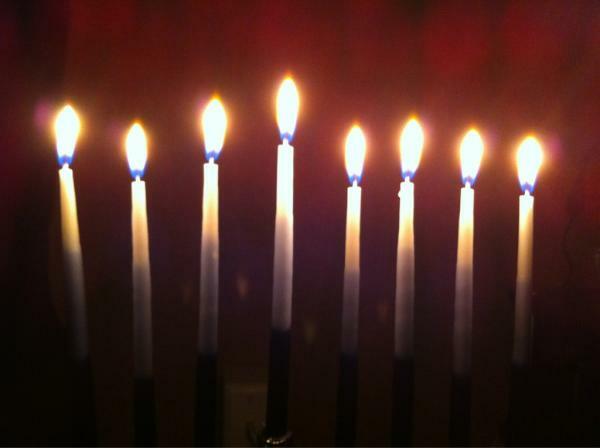 I lit the candles with family for two nights and now am back in my apartment for this seventh night. I don’t have anything bigger to talk about this evening so I will simply post my pic for the seventh night and return tomorrow for the final night.